The rise in garden theft sparks a growing need to secure your home garden from break-ins. According to ONS, about 700,000 thefts from gardens and outbuildings took place in the year up to March 2016, and the number is still increasing. You can use the below effective solutions to secure your garden sheds, gates, storage cottage, etc. from thieves (stunning videos and images included). 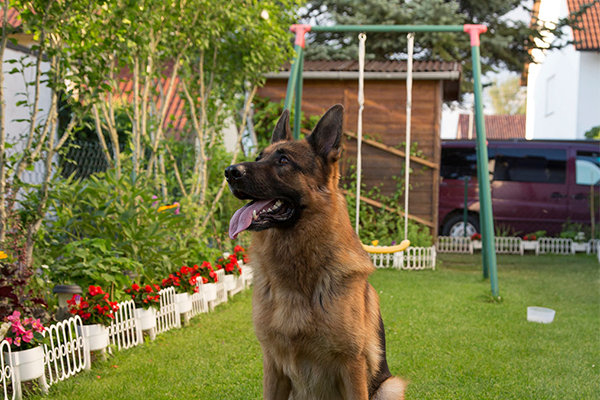 You can add your own garden security ideas in the comment, and we’ll include your opinions in this post. Try the 6 handy ways to improve your home or apartment garden security. These security solutions can help you secure your garden sheds, gates or doors, furniture, buildings, plants, etc. from burglars. Garden security cameras and alarm systems can deter those awful thieves from breaking into your garden sheds and gates. 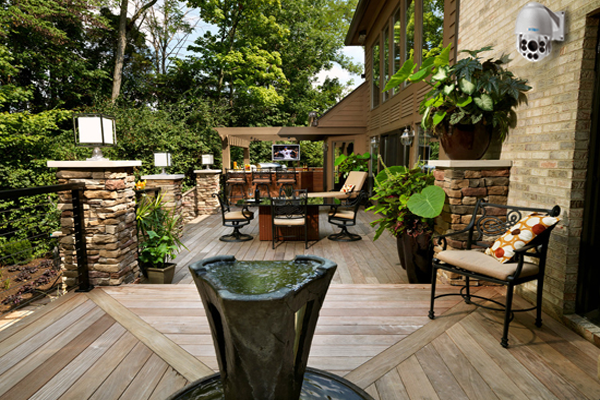 85% police surveyed believed that garden security camera systems help deter burglary attempts. Burglars usually bypass your yard if it is protected by an outdoor security camera. You can take a look at the below video to see an attempted break-in captured by the security camera Reolink RLC-410 (shared by a homeowner). After you have installed a yard security camera, put up an obvious sign in both of your front and back garden to show that your garden has been protected by a security camera system. If your garden has no power supply available, you can install a battery powered security camera, so that you can still protect your garden storage sheds, gates, furniture and other valuables even without power source and Internet. 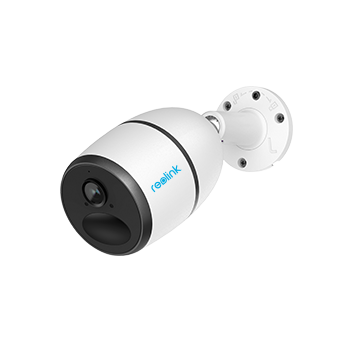 And Reolink Go is the class-leading cellular 4G security camera that is dependent on both power and WiFi network. Your garden boundaries and access are the first line to protect your garden and home from invasion. It is essential for you to take some measures to secure your garden boundaries, especially your rear yard that is usually overlooked. Note: Any measures taken should be legal. Avoid using barbed wire, broken glass, spikes and even carpet fittings to deter intruders. Garden fencing that is difficult to climb is effective to secure your garden sheds, storage houses and furniture from invasion. It should be of solid construction. Make sure that your garden fences are high enough to prevent burglars from climbing. A picket fence with sharp points is a good option. If you have pets, such as dogs, cats, rabbits, you need to secure your garden for your dogs and other pets. You can install 2m fences for your garden so that your pets can’t go out. You can also use the trellis to set up a wide area in your garden for your pets so that they cannot sneak out. Hedges can make a barrier to secure your garden sheds, gates and other accesses from intruders. Planting low-growing and thorny shrubs at the base of fences is most effective. Thorny shrubs are also useful to secure your windows from break-ins. 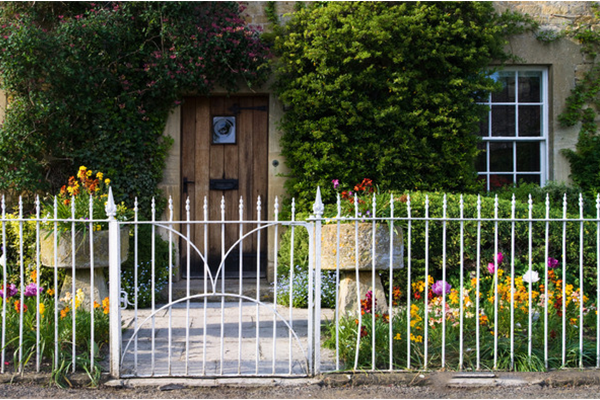 Both your front and back garden gates play an important role in securing your garden from burglars. Keeping your garden gates locked is the most direct way to secure your garden. Don’t assume that it is fine to leave your garden gate open while you just leave for 2 minutes. One lapse like that is all it takes to open yourself up a home invasion. A useful advice to secure your garden gates is to install 2 locks to a gate, top and bottom. Make sure that your garden gate hinges are securely fixed to gate posts. One of the best ways to secure your garden sheds and gates is to pave your drives and pathways with gravel. Anyone who walks in your garden gravel drives and pathways will make a sound, which makes it impossible for a burglar to approach your garden quietly. Your car parked in your garden driveway is really attempting to car thieves. 92% of vehicle burglaries occurred either on a residential street or in a residential driveway. 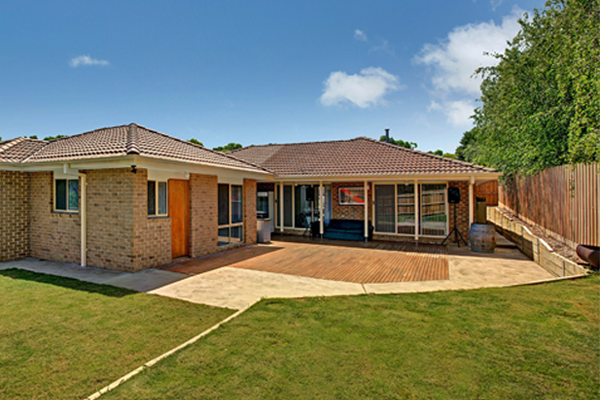 You can consider a driveway security camera so that you can check what’s going on around your garden, and get instant alerts when there any unusual events. Lighting is one of the easiest garden security solutions to secure your garden sheds, gates and fencing. Statistics show that 24% of convicted burglars surveyed would consider the presence of outdoor lighting when choosing a target. 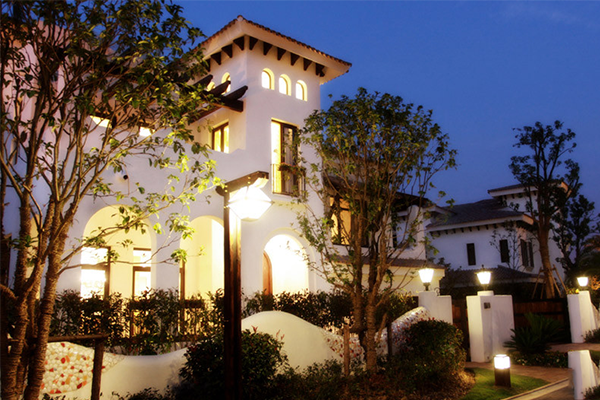 You can consider installing garden security LED lights that are motion-activated in your garden. When a thief approaches your yard, a sudden bright light may startle the potential burglars, causing them to leave your home garden. FIY: If you are interested in the “Do Outside Lights Deter Burglars?” topic, you can take a look at this post written by Amanda, Reolink’s senior editor, who’ve investigated the topic for a long time. You are gonna get fresh ideas in this post. Your bike sheds, gnomes, exotic flowers, barbeques, etc. 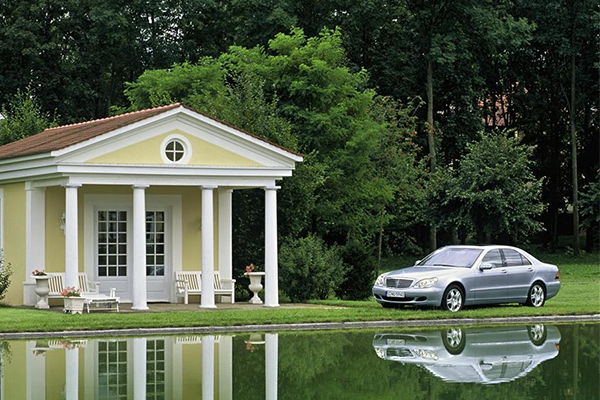 stored in your garden are really tempting to thieves. You need to secure the garden furniture, sheds and other valuables to prevent them from being stolen by larcenists. You can use the following effective tips to protect valuables in your garden shed, office, storage house, garage, etc. Take all of your valuables inside. Lock your implements when you don’t use them. Cover your furniture with cloth to stop prying eyes. Secure your garden gnomes, statues, and planters by cementing them tight or by chaining them to an anchor, like a wall bolt. It’s essential to secure your garden shed or workshop from break-ins, since it is one of the main targets for garden thieves. Try the below tips to secure your front and garden shed or cottage in US, UK, Canada, Australia, etc. from thieves. Keeping your garden shed door padlocked before you go outside is the most direct and best way to secure your garden shed. You can use clutch-head screws to attach the hasp and latch. Thus thieves cannot break into your shed without removing the padlock. It’s a big must to secure your garden shed windows, since burglars usually get access to your shed through windows. Statistics show that about 23% burglars enter a property through windows. Cover them with curtains to obscure the view. Lock them before you leave your shed. You can also use privacy film to obscure visibility. Nothing protective measures for garden security would work if your shed is rotten. You need to maintain your shed and keep it in perfect condition so that it is hard to be broke into. A fierce barking dog is helpful to secure your garden sheds, gates and home from break-ins to some degree. When a burglar comes near your garden, your dog will bark fiercely, which will attract your neighbors’ attention and scare the burglar. The intruder will usually run away because he doesn’t want to be caught. Please note that only depending on your dog to protect your garden is not enough. You need to combine the above effective ways to protect your garden sheds, gates, furniture and other valuables from burglars. If you want to know more about whether your dog is effective to protect your property, you can read this post to get more details. Your garden could be a vulnerable place. You would not know how much your garden is worth until everything is gone. 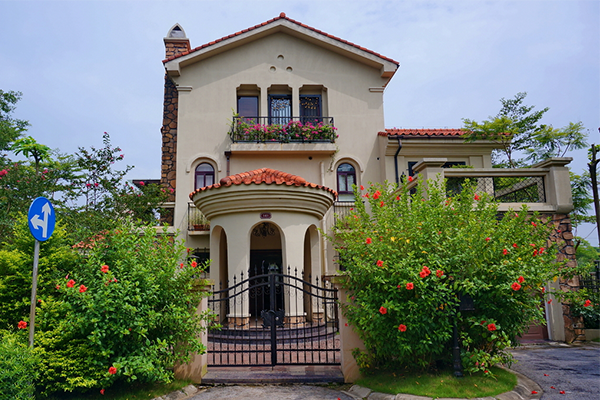 It is important to keep your garden security in mind, because thieves have a knack for breaking into a home when it is most vulnerable. Keep your garden and home secure by following the above top 6 simple garden security advice. • Develop good relationship with your neighbors. Nice neighbors will help you to look out for your garden security. possessions lying around in your garden. • Never leave a ladder in your garden. Thieves may use it to climb into your upstairs windows. You can add more garden security tips and ideas to secure your garden storage sheds, gates, fencing, offices, etc. in the comment below! Your fresh ideas will be included in the post! This entry was posted in Expert Safety Tips and tagged Garden Security, home security, secure home garden, tips.